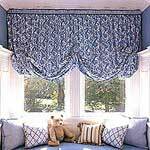 You can give a room a needed face lift with custom made blinds and shades. 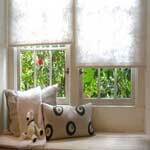 When shades or blinds are placed on windows, the window takes on a whole new look and feel. What once was a somewhat cold room becomes warm and inviting all because fabric was added to the windows. If your taste leans to the romantic, modern or traditional, you are sure to find a shade or blind pattern that fits your style. Pick from patterns for a roller blind, the more romantic Austrian blind, balloon shade and so many others. 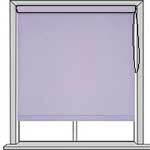 The most practical treatment for windows throughout the home and ideal for the kitchen and bathroom. 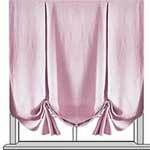 Roman blinds are one of the most stylish ways to dress up a window. Beautiful Austrian blinds are really just a curtain that pulls up from the bottom. 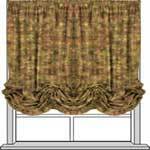 Here is a simple solution for a small window where curtains would be impracticable. 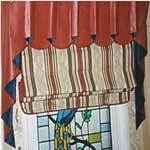 London blinds are a cross between a Roman and an Austrian blind with inverted pleats. 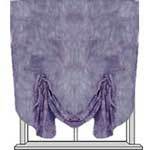 With the help of some heat-fusible products, you can do it all with an iron and ironing board. These shades are simple and organic and function well. Balloon shades add to in any room of the house, giving it warmth and color.